Four Indian law firms are advising in world-record breaking sale of Indian unicorn Flipkart, the biggest domestic Amazon competitor, to Walmart. “Walmart Inc. on Wednesday announced its high profile acquisition of Flipkart for $16 billion for a valuation of over $20 billion, making it the largest ecommerce acquisition in the world. The Bentonville company has acquired 77% of the Bengaluru-based company, as per sources,” according to the Economic Times and others. Khaitan & Co Bangalore partner Ganesh Prasad acted for Flipkart , with partner Vinay Joy, associate partner Arun Scaria, principal associate Sanjay Khan Nagra and associate Mrudul Dadhich, with the due diligence team including senior associates KA Alakiri, H Muralikrishnan and Tamarra Sequeira, and associates Siddharth Baladevan Nair, Luv Saggi, Bhargav Rao, and Chirag Narasimaiah, according to a Khaitan press release. Shardul Amarchand Mangaldas corporate head and partner Raghubir Menon led for Walmart on the corporate side. The competition team was led by managing partner Pallavi Shroff. Update 22:02: The general corporate, competition law, banking & finance, IPR and tax practices were involved fielding at least 14 partners, according to the firm’s press release: The Shardul Amarchand team was led by Delhi managing partner Pallavi Shroff, according to the release, while the M&A transaction team was led by partner Raghubir Menon. It said other “key partners” involved in the deal were partners Ekta Gupta, Puja Sondhi, Natashaa Shroff, Abhishek Guha, Aayush Kapoor, and Siddharth Nair General corporate advice was provided by head of the FinTech practice and partner Shilpa Mankar Ahluwalia and FinTech partner Shubhangi Garg. The competition law practice team was led by partner Shweta Shroff Chopra, tax was led by partner Amit Singhania, while intellectual property was led by partner Mukul Baveja. Trilegal also had a role on the mammoth deal, advising South Africa-based global internet and entertainment group Naspers Limited, which sold its 11.18% stake to Walmart for $2.2bn. The Trilegal team was led by partner Yogesh Singh and competition head and partner Nisha Kaur Uberoi, according to a Trilegal press release. Update 20:03: Cyril Amarchand Mangaldas will be advising Flipkart going forward on the required competition law filings and other related aspects, led by competition partner Bharat Budholia, according to a firm spokesperson. Cyril Amarchand will of course in future be welcoming Avaantika Kakkar, competition partner from Khaitan & Co.
Update 21:46: Hogan Lovells San Francisco office led the transaction for Walmart internationally, led by Silicon Valley M&A partner Rick Climan, along with Singapore office managing partner Stephanie Keen and Silicon Valley partner Chris Moore. Hong-Kong based Walmart Asia general counsel (GC) and senior vice president, chief administrative officer Erica Chan was responsible for overseeing the deal for the retail giant. Update 10 May 2018: Argus Partners advised TR Capital in its Flipkart exit via a share buyback by the company, in the run-up to the Walmart deal. The Argus team was led by Bangalore-based senior partner Siddharth Raja and included associate Ankita Gupta. Samvad Partners co-founder Raja had joined Argus in 2016. Update 11 May 2018: J Sagar Associates (JSA) Bangalore-based partners Vivek Chandy and Archana Tewary, with senior associate Pooranimaa Hariharan advised eBay in relation to the sale of its stake in Flipkart. How much would have the three firms billed in the matter? Especially, Khaitan and SAM? nothing close you to imagine. relax. what corporate law firms and lawyers make after a point is nothing when compared to what independent practitioners make. of course, the law firms pay the freshers really well, unlike practitioners who pay paltry sums. Anybody bothered about the missing French Hens? Truly a mega deal...many congratulations for all the nights the teams have pulled in making this a success. Another feather in the cap of team Trilegal...you guys have always been a step ahead in inspiring the lawyers here- best wishes! Can somebody stop this "nights worked" comments. Its not a compliment. It is all fake and hyped. There is nothing great. Law Firms are the junior brothers of Corporates. Profit the motive and a playground for politics and bullying. Family run shops. Social profiling to see which community you belong and then your future prospects are decided. Imitating the west. Everyone crazy about M&A. 99% don't even know what is Private Equity and claim to have practised in that area. Late nights means work. If you leave office in evening means you have not worked. If you are someones nephew or niece then you have worked. If you come from a poor family means you have not worked. If you have coffee with senior you get promotion, if you dont then you dont get promotion. There is this one article on internet which says millenials dont want to join law firms. Better to be not part of such culture. Not knowing the ramifications that your three little words can have on so many lawyers who are stressed each day of your life, makes you rather ignorant. But how does it matter to the pea sized brain of yours - you will continue be such an amazing 'lawyer' that you are today. No? Fortunately, not in the culture. Haw haw. Yes Kian. Pea sized brain is a good example. If all the matter in the universe is rolled into one it would be size of a pea. Thanks for complimenting my brain as that pea. No? If you truly believe that some comment has ramifications then kindly report it to LI. There is a button for that. LI will take it off in their decision. Most important thing in life is to take care of health. A healthy body is a healthy mind. Live laugh love. Be happy. It is a very interesting article. The Harvard article you are referring here I am presuming. @Kian it would be interesting if you could feature a story based on that article. Watchman and Security Guards should get maximum % of fees in financial deals because they "worked entire night" / " nights worked" ( for appraisal purpose ) and played a major role in keeping the offices open for the deal to happen. Fully agree with is. Indian corporate lawyers have this misplaced sense of bragging that working late nights / pulling in all-nighters is a great deal or a sacrifice. The ones who believe this should get an appointment with a shrink at the earliest and not lose touch with reality. The partners or seniors who encourage this whether knowingly or silently are jacka**es of the first order. Take a look at any magic circle firm for an instance, they actively dissuade associates from working late hours and respect their resources' social life on weekends. Given the mass maarus we have as clients (companies and i-bankers alike) tending to their bizarre requests and demands should be put to an end first. This of course is not easy an directive to implement given the cut-throat competition and under-cutting carried out by tier I and II firms. Coming to think of it, I genuinely believe that corporate lawyers working in tier I or II firms who take pride in tending to the international clients by agreeing to take calls during the firang clients' human hours at the cost of the Indian lawyer staying back late, make no mistake, is just another manifestation of slavery and you are no different than a US Telecom or US IT customer support executive. Telling you, given the pay A0s are drawing these days fresh out of law school either in a tier I or II, the middle-class parents will start pushing their kids into law schools than engineering or medicine, its happening already. You hit the nail on the head. Corporate law firms in India require slaves. And they have got them. We are a poor economy as opposed to the West and hence stoop down to get mandates. Everyone pushes a person who is willing to be pushed. Unless and until this 'slave' mentality is not admonished with sheer and brute contempt, you will have these 'slaves' come out and fully support the all nighters. Very true. As a senior partner in a tier 1 firm, I can vouch for the fact that I have absolutely no work-life balance. Only life - no work. Comment above by 'TomThePissedOffRoofer' should be stuck at the entrance of the law firms! I do not know why the lawyers who work the entire night have some sort of an entitlement to them, once they start having lifestlye diseases they'll know! So in such deals it’s the acquirer and their counsel that plays a big role! Your headline demonstrates your anti-SAM bias. It’s a massive deal and kudos for SAM for landing the biggest e-commerce deal in india!! I am glad you fixed this Kian and changed the headline and story. SAm and Trilegal are rocking it. LOL that’s like saying Sam had no role on the Schneider Temasek dealand it was only AZB, Trilegal and KCO. Chillax! Agreed. But this is akin to being involved in a deal on the last 2 days of it and then claiming credit for the whole deal.This was clearly a SAM and KCO deal. Hold your horses. More to come on this. Especially the Competition Law team. Khaitan has come a long way from being dismissed few years back likes of AZB, AMSS, JSA, Luthra, and their respective over enthusiastic associates. Look at it now - it’s the only large firm that’s challenging the hegemony of AZB and split Amarchand firms. With deals like these, including the recently announced mega Schneider - L&T - Temasek, its thriving Funds and Capital Markets practice, and consistent good work across practices, it is surely domninating the landscape (even if not replacing AZB - SAM / CAM). Whose press release is this? Trilegal (who had nothing to do with the deal) is mentioned, but CAM, who were Flipkart’s Competition counsel, aren’t. The deal is about Walmart’s lawyers, and Flipkarts lawyers. Nobody else is remotely significant. You mean sellers had no separate counsels? All the sellers would have used counsels working in the background but the lead counsel on the table would be Khaitan. That would be normal in the context of such deals. What an ill-informed comment. To think that a party selling shares worth $2.2 billion in a transaction would not have engaged counsel to protect their significant interest - really? At the least, reps and warranties given by the Flopkart's promotors would typically apply equally to any other shareholders. I agree with Bhai. CAM was not mentioned and Trilegal was. Even now it is incomplete. Anisha Chand and Soham Banerjee also worked on the deal. Bad job CAM spokesperson!!! Vendors diligence bhi hota he!!! "He" nahi bhai, it's "hai"
CAM has a role going forward? Haha. And where is Avantika in all this? Or does Cyril get on competition calls with Pallavi? Hasn’t she just joined, give her some time dude ! But she is head?! And this release says CAM will advise going forward. So why would they not involve her? Strange. She will join on Wednesday. Lol, sobfunny to see jobless people with no information getting worked up. Do your job, maybe she'll hire you someday. @Kian - not sure if this is entirely correct. SAM LED for Walmart? It may have acted as India counsel for Walmart but I guess Hogan Lovells was transaction counsel. Learn something from Katy Perry and Taylor Swift. Here is a deal equal to 15 big deals. So many sellers and we are in not even advising even one. They don't come here even for free. And here we go around strutting as if we own the practice area. whats happening with Luthra? dont even hear of them on tiny deals !! Luthra has been decimated from the who's who list. They will only manage to get back to the prime (at which they once were) when UPA comes to power again in Centre (there's still another 6 years) for that to happen.So chillax! Interesting that, again, Flipkart chose separate Competition counsel, even though the role of target’s counsel is limited. Didn’t trust KCo without Avantikaa for even that! Which law firm gave 2nd opinion on this? I think Bharat has advised Flipkart on some of the previous transactions as well (E-bay, Tencent, Softbank etc.). No surprise they are using him again for this matter. Who represented Amazon? Media reports suggested that they had also submitted their bid. I think AZB did. I guess Flipkart guys just wanted to up the price. I've also heard on the grapevine that AZB was on for Amazon. Right - nobody left available na...! Kian, my earlier comment, please publish..
CAM had represented Amazon on the corporate side of Shoppers Stop deal. P&A represented Amazon on the competition law matters in Shoppers Stop deal. I am assuming same combination (AZB for Corp and P&A for Competition) worked for Amazon's FK Bid. Wow is no one using AZB competition team anymore? Raghubir Menon is the biggest star. Wonder how the promoter firm family is dealing with his prominence. Besides claiming supervision rights. Deal alert maybe 14 partners but everyone knows it was all and only Raghubir. Don’t forget Raghubir together with Jamai Raja led for Shardul in the battle against Cyril for the split (as an aside today marks three years of SAM&CO). Also, Shardul, Pallavi and Akshay asked Raghubir to head corporate Mumbai after Shuva went in house. And Shardul’s [...] daughter, Natasha, works in Raghubir’s team. The real stars would be the KCO partners as it's Flipkart that got the fantastic deal. Nice caption photo. I likes. 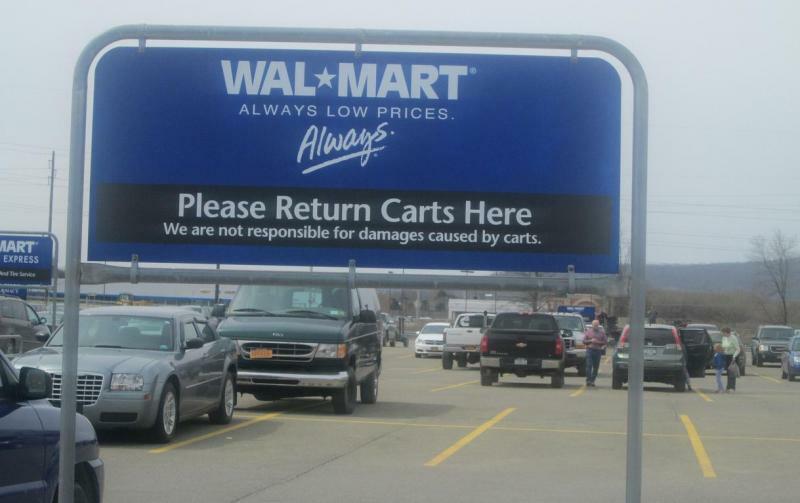 "We are not responsible for damages (sic) caused by (Flip)carts." HaHa. Heard that Walmart's share price plummeted after the deal. Was the pun deliberate? Anyway - good one, Kian. Flipkart continued with its old firm. Ditto for naspers. No making rains by anyone in those firms. The ONLY rockstar is the partner who pulled in Walmart. Was it Menon? It was a lesser known partner in Delhi who pushed WM to appoint SAM for the transaction. Everyone in SAM knows..
not true for both. flipkart used CAM earlier and Naspers used another firm for the investment. Lot of new firepower in Khaitan and Trilegal now. 2. Khaitan undercut CAM on billing rates? 3. Khaitan got new firepower (i.e. new lawyers in Bangalore) which impressed Flipkart? In any case, this is a radical shift - CAM should introspect. A golden egg laying goose flew the coop from MG Road to Ulsoor Lake. You're right about the firepower bit. The name's Arun Scaria. now thats one 'scary' comment. I have a received a PPO with Khaitan and will be joining July next year. Given the recent deals, and the expansion undertaken. Could it be said that Khaitan is on par with CAM & SAM? Also, I haven't received the offer letter, how much does Khaitan pay in comparison to CAM, SAM. Also how is the quality of work there, as well as the worklife balance? Good on you for getting an offer from KCO! I wish you the best! Now, instead of answering your questions, I have two cents to offer: You will be joining a firm where you will not be disadvantaged vis-a-vis others when you're switching jobs. That's the only "use" of working in a prestige - that, and [...] measuring contest. 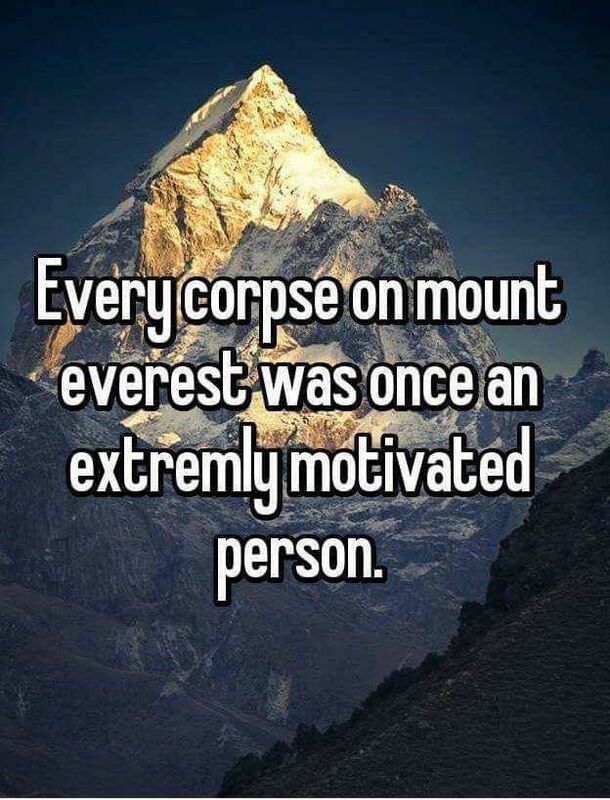 So, don't worry about prestige. Another thought: don't let LI be your benchmark on where firms stand. What matters is the exposure you get in a firm (and a big firm will not necessarily give you the best exposure - although that's more likely) and your colleagues. Working with abusive people makes it tougher to focus on your own growth and occupies the mind space for no benefit. If you find a team you work with during your rotation to not be abusive and is generally respectful, then my suggestion would be to stick with that team. It is better to compare practice areas and (more specifically) teams on quality of work or work life balance. You are not likely to have much say in either of the above right now. In any case, what ever conception of work-life balance you have right now will be considerably shaken when you start working. But, it gets better after a few years (or at any rate, your expectations change). Thanks for the interesting insight. I Appreciate it. They've been using Gunderson Dettmar I think, but not sure they have anyone in India? Only for the small VC fundings.Never for a deal as big as this. Is this the largest Indian deal ever for a company which is yet to make profit? This is like one of those larger-than-life cases in SC (TMA Pai,Right to Privacy etc) where every lawyer in Court 1 claims to be involved. It's hilarious how every firm worth its salt is trying to get max mileage out of this. This deal conclusively proves three years down the line SAM is doing better than CAM especially in M&A which used to be the old Amarchand Mumbai stronghold. Shardul has triumphed on all counts market recognition, star hires and strategy. Losing Shuva and Akhila also has not impacted SAM much. Raghubir today is doing better than ashwath in the Mumbai market. A comment posted 11 months ago was not published. I would like to understand if SAM fielded 14 partners, was it only the partners doing all the work and not the juniors. They don't trust juniors for this big a mandate. Else they should put up entire team network of SAM involved.